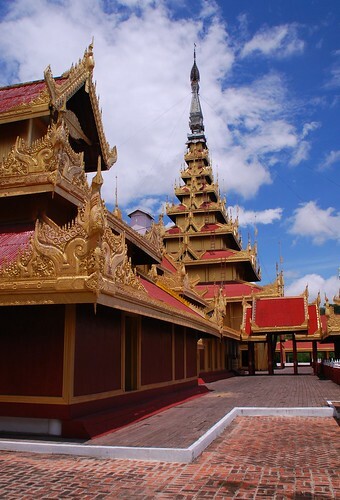 Mandalay Royal Golden Palace, originally uploaded by ZackTwin. The Palace was built by King Mindon in 1861 and was destroyed by bombing during the WWII. Current structures are reconstructed in 1996. I had visited there while I was young before it was reconstructed. In my personal view, we should keep the ruins as it is, rather than rebuilding new structures.